Halloween event maybe, has more celebrations than any other events, second probably to christmas. People of different ages want to dress up fantastic halloween costumes and pretend they're someone else and different person for a night. Halloween event is generally one of the best opportunity to dress up in something really special. Now you have to make a very special homemade halloween costumes for your children. You'll find a large diversity of Halloween costumes offered by stores in your neighborhood. However, when considering the total cost of, or you did not find something you and your family will love. In the other side homemade halloween costumes are a more fun and frequently more cost-effective option. Better, if you involve your kids in creating the DIY homemade halloween costumes, the results will be great and worth more than any store-bought costume in any neighborhood store. In this article i will show you a few inexpensive, DIY homemade Halloween costume ideas that will definitely cost a low budget and show lots of imagination. 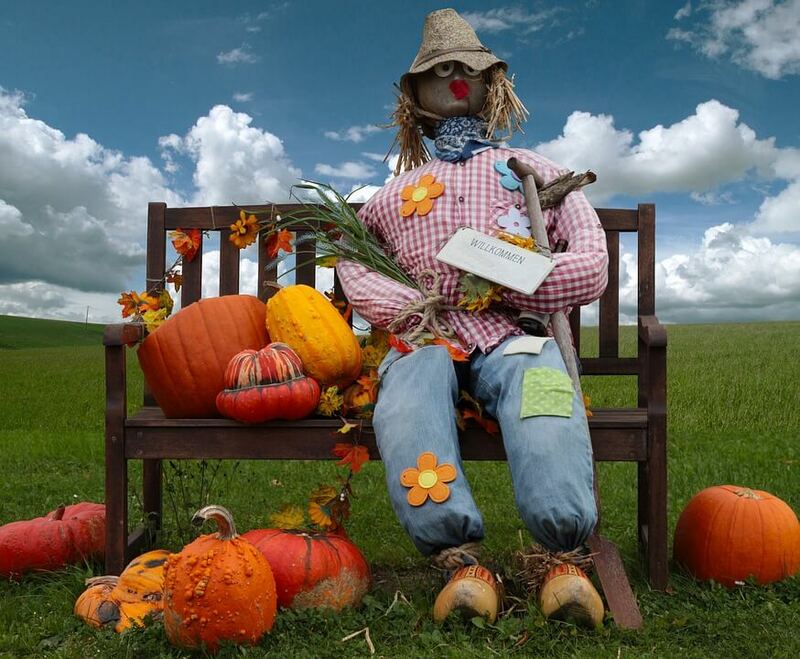 DIY scarecrow halloween costume: An oversized flannel shirt and some hay old jeans with splash and patches can make a very scary and creative scarecrow. Stuff the old jeans and shirt with store plastic bags and leave just a little straw hanging out of the shirt and jeans. A little make-up will complete perfectly your DIY scarecrow halloween costume. DIY ghost halloween costume: evil spirit ghosts are an old and classic stand-by that never goes out of style. You can use an old white sheet with holes cut for the eyes and sew a simple treat bag out of any scrap of cloth or an old pillow cover. You can dress your ghost up somewhat by making lips out of red lipstick and some false eyelashes. Or you could color a beard and moustache with markers. You might like to make a colorful ghost by using a sheet covered with polka dots or one whose is brightly colored. homemade clown halloween costume: You can actually make a really cool clown with old clothes that are a few to large decorated with material paint or even markers. Sew on certain pom poms, utilize a cheap wig with a big, colorful hat, therefore you could also stuff the clothing with tissue. Hippie halloween costume ideas: It is possible to become a Hippie from the sixties with a tie-dye long-sleeve shirt with old jeans with holes in the knees. Put together with a headband, a ponytail wig, and a jacket and also vest covered in fringe therefore you will get the extreme authentic and classic looking hippy costume that you looking for. DIY nerd halloween costume: Halloween is the period to dress up like someone entirely different and you look like something out of character. You can actually dress-up your kids like a typical nerd, complete with white or colored long-sleeve shirt, pocket protectors, trousers which are too short, horn-rimmed glasses, whilst socks and black-colored cloth footwear. Don’t miss to tape one angle of the glasses for a real nerd semblance. Be sure you use lots of hair gel to slick back the hair and a few overly big fake teeth will be amazing addition. Soda can halloween costume ideas: Find a cheap plastic drum and cut a hole in the bottom part. Paint the whole barrel the colors and style design of your preferred brand of soft drinks in a can. With some holes for arms and your head, a simple barrel can transform your kids into a soda can.